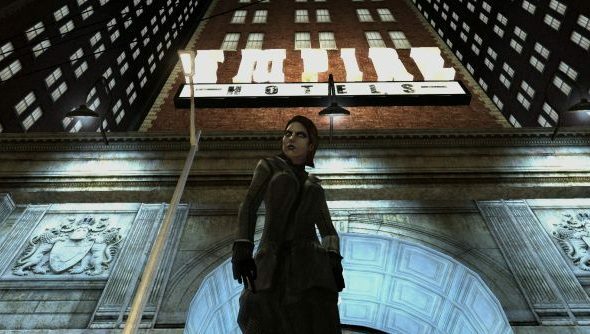 In 2005, Troika Games released one of the most flawed yet shiniest gaming gems ever with Vampire: The Masquerade – Bloodlines. It’s an RPG based on the famous White Wolf property, as buggy and broken as it is brilliant, released too early after a troubled development period on a then-unfinished Source engine. Troika dissolved shortly afterwards, the team scattered to the winds. Now Leonard Boyarsky, who was project lead on Bloodlines, has joined Obsidian Entertainment, where Tim Cain, who he co-founded Troika and worked on Bloodlines with – plus a little game called Fallout before that – also resides. Obsidian have a close relationship with publisher Paradox, who recently picked up ownership of White Wolf from CCP and if you’re hearing a tinny screaming sound that’s me jumping to all sorts of conclusions. A rightful place as one of the best RPG on PC for Vampire, long may it remain. Yes, it’s probably not the case, or if it is then it’s years and years off from any of us finding out about it, but gosh, what if, eh? If you’ve never played it, VTMB is legitimately one of the best RPGs ever made, with humongous holes in it that ruined its reputation at the time. Supported by more than a decade of fan-patches, mostly produced by community superhero Wesp5, it’s easily some of the best writing, world-building, dialogue and voice-acting in games, with combat and stealth systems that just about hold up. You should play it. Given it’s got nearly 500,000 owners on Steam alone according to SteamSpy, as well as being one of the most legendary cult hits in gaming history, it’s safe to say a sequel – produced by RPG masters Obsidian and PC heroes Paradox – would probably do alright. Chances are, both Cain and Boyarsky are lending their talents to Tyranny but it’s good to have dreams. 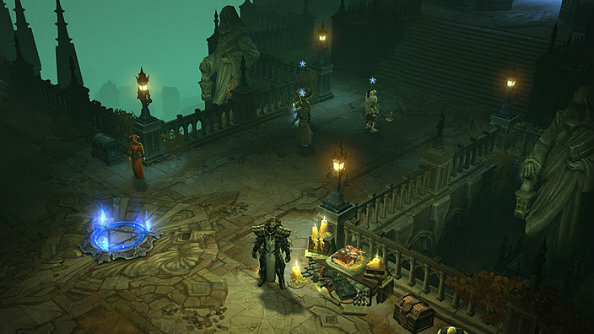 Boyarsky joins the company from Blizzard, where he was a senior world designer on the Diablo team for the past ten years. It’s the second member of the Diablo team to be confirmed moving on in 24 hours, with associate game designer John Yang announcing on Twitter he moved to help out on WoW six months ago. In typical fashion, there are those taking this as news that the Diablo team is being downsized and won’t be working on anything big. While it’s very possible, it seems unlikely to me. In Boyarsky’s case, there could be any number of reasons for him to leave. Once you’re in a senior position at Blizzard, as he was, it can be very difficult to move up due to the company culture and number of long-serving employees in the higher echelons. The benefits and drawbacks of that can be debated to kingdom come, but it’s true, and we heard it from Greg Street when he left for Riot. Boyarsky had been doing a roughly similar job for ten years – an offer to go work on traditional RPGs again at Obsidian, with someone he’d known since the early 90s in Tim Cain (and, maybe, the promise of reviving one of his best games, don’t look at me like that, it could be true) is going to go down well. As for Yang, internal movement is very common at Blizzard, particularly during the run-up to release on large projects. Almost the entire company moved on to WoW when it took off in the mid-00s, hence the delays on other projects into 2010 and beyond. With Yang being an item designer in Diablo by trade, and that being something that WoW is building upon in the upcoming expansion, specifically making its rarest items more like Diablo’s, it makes sense. Moreover, the Diablo team was literally hiring for a new game back in March, and still is according to the Blizzard recruitment site. Don’t worry, hell-fans, that multi-million dollar franchise isn’t going anywhere, though it could go quiet for a bit as they work on the next game proper.